A cruise is the perfect vacation for both individuals and families. There is no other way to travel with all expenses paid from place to place while enjoying the luxury that a cruise line has to offer. Venice is one major port that any traveler looking to cruise the Mediterranean region should check out. If you are thinking of starting your journey from this beautiful Italian city, here are some interesting details for you to consider. 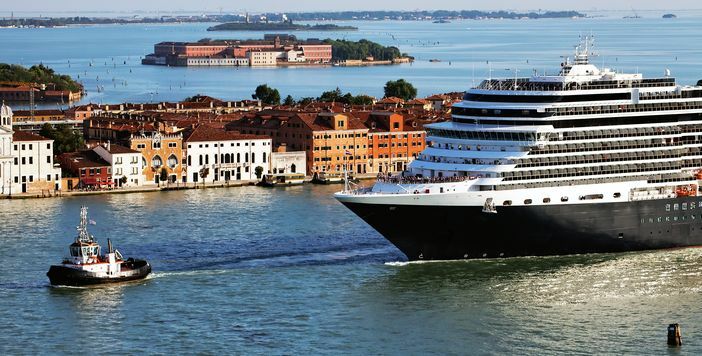 Many of major cruise lines start their journeys from Venice including: Royal Caribbean International, Celebrity Cruises, Costa Cruises, MSC Cruises, Norwegian Cruise Line, Princess Cruises and Holland America Line. They all offer different packages and each has its own unique perks, but no matter which one you chose, you can’t go wrong with a Mediterranean cruise from Venice. 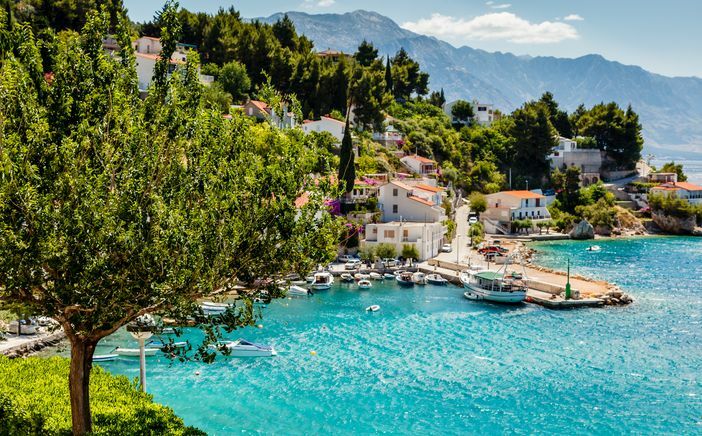 These wonderful vacations can travel to one or more of three major areas: Adriatic Sea, Aegean Sea, and/or the Italian Coast. Some cruises go to just one of these areas, and others can travel to all three. Below is a summary including some of the different ports that can be traveled to along the journey; keep in mind that this is not an all-inclusive list. There are three major ports along the Adriatic Sea that these gorgeous ships from Venice can take you to. Dubrovnik is one of the premier tourist destinations in the Mediterranean, as it offers some great attractions. One really unique feature of Dubrovnik is that is it still a walled city, just as it was in medieval times. 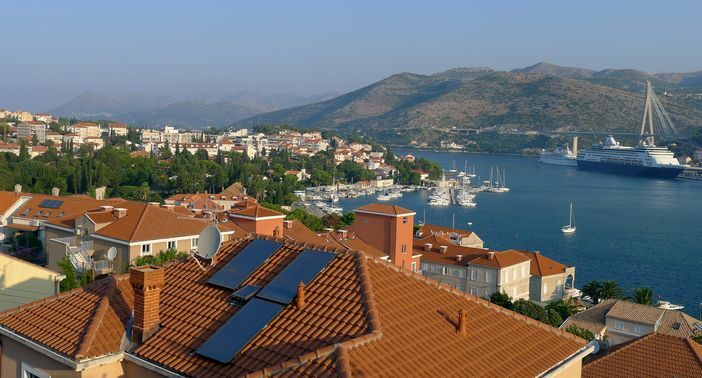 Another notable port that you could stop at along the Adriatic Sea is Split, Croatia. One of the oldest cities in the area, Split is home to the Roman Palace of the Emperor Diocletian. It also has many museums, theaters and other attractions for tourists, making it a place that you can easily stay at for a day or longer. The third notable stop that you could take if traveling by cruises from Venice along the Adriatic Sea is in Kotor, Montenegro. With a population of only just more than 13,000 people, Kotor has become a hot spot for tourism recently due to its natural beauty, as well as the old style town. Like Dubrovnik, there is a medieval feel to the city, mainly due to the fortifications that remain around the town. Along the Aegean Sea, these cruise ships can stop in multiple ports in Greece as well as Turkey. The first port worth noting in Greece is in the city of Santorini. This unique island is the largest in a group of archipelago off of Greece, and was formed due to a large volcanic eruption in the area. Because of its unique situation and beauty, Santorini was actually named “the world’s best island” in 2011 by BBC. 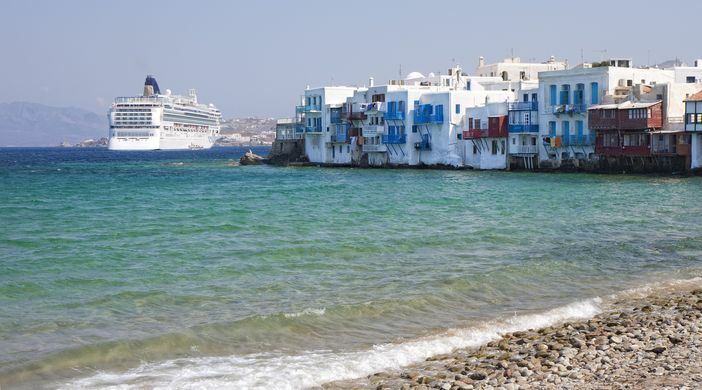 Mykonos is another notable port in Greece. This small island has a population of just more than 10,000, but it is definitely a great spot to stop. There is plenty of sights to see for tourists traveling by cruise including: windmills, an 18th century library, the Armenistis Lighthouse and an Archeological museum. Athens, the capital and largest city in Greece, is the final Greek port to mention. Athens has a rich artistic history. It is no wonder that there are countless activities for tourists when they stop in this area. Istanbul and Kusadasi, Turkey, are the remaining two ports that a Mediterranean cruise from Venice could stop at along the Aegen Sea. Istanbul is another culturally rich city, as at one time it was perhaps the most notable city in the world. 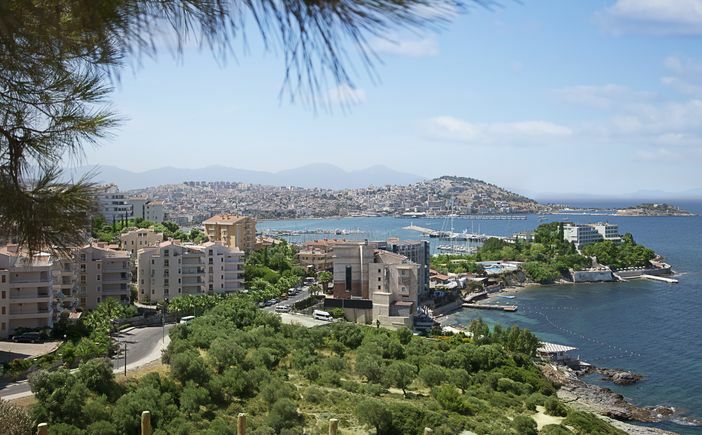 Kusadasi also offers many places of interest, including city walls, aqua parks and Kirazli Village, a traditional Turkish village. Along the Italian coast, there are five major destinations that cruises from Venice could stop at. The first one to note is Bari. After Naples, Bari is actually the second most prominent economic city in Italy. There are many notable attractions in Bari, including the Basilica of Saint Nicholas and the Swabian Castle. 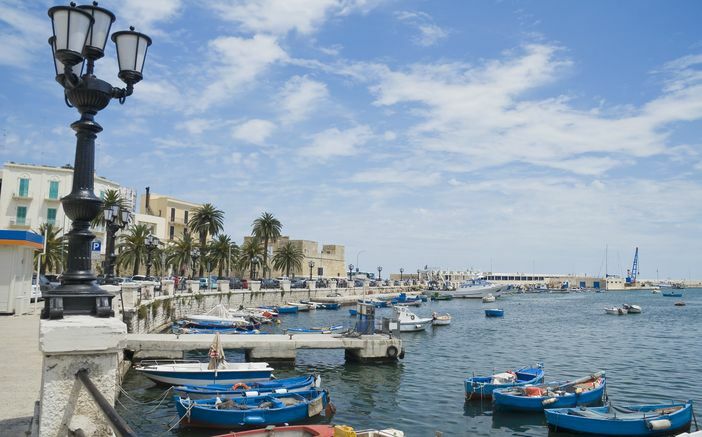 Overall, Bari alone has a plethora of unique and attractive tourist locations that you will definitely want to visit while there. Civitavecchia is another major stop that you might see along the Italian coast. The main function of Civitavecchia is as a port of Rome, so cruises are quite frequent to this area. There are some great sights to see here, but the main attraction is the seaport itself, which is quite beautiful and unique. 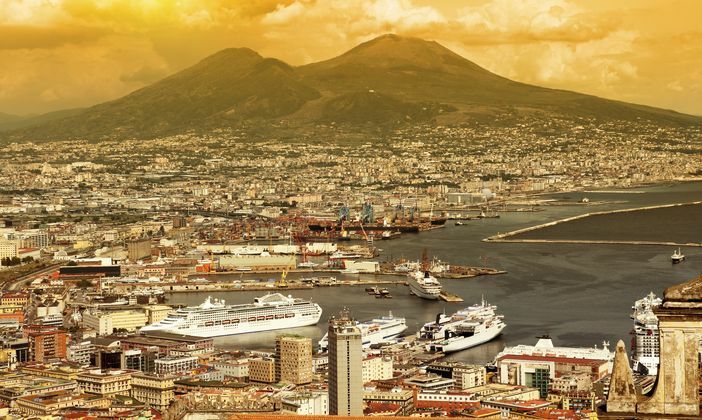 The largest economic center in Italy, Naples is also one of the stops that you could make. In addition to its economic significance, Naples is home to an array of churches, castles and other very old and beautiful structures. If that is not enough, very few towns match the natural beauty of Naples, as the scenery alone has been known to draw tourists. Livorno, Italy, is another notable stop along the Italian coast. Much of the original architecture of this city still remains, giving travelers the feeling that they are lost somewhere out of time. Additionally, there is an array of more traditional tourist locations, making Livorno a beautiful and sought out destination by many travelers. 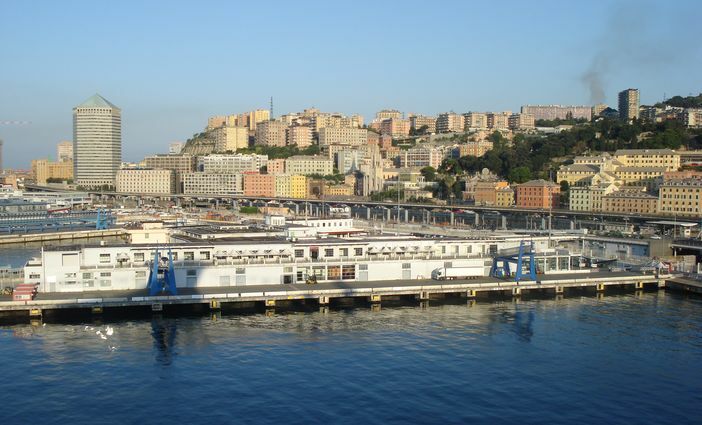 The final port to consider along the Italian coast is Genoa, Italy. In addition to being one of Italy’s largest cities by population, Genoa houses some of the most notable and prominent historical sights. Among these sights are the Royal Palace of Genoa and the St. Lawrence Cathedral. Virtually everywhere you go in this city, there is a piece of history to see, as well as some amazing architecture that you will be hard pressed to find elsewhere. Depending on what you are looking for, a Mediterranean cruise from Venice can go to one or all three of these areas. If you only wish to travel the Italian coast, that is an option, as is just the Adriatic or Aegean. On the other hand, if you want a full cruise experience, you can go to all three areas at once. The choice is yours.